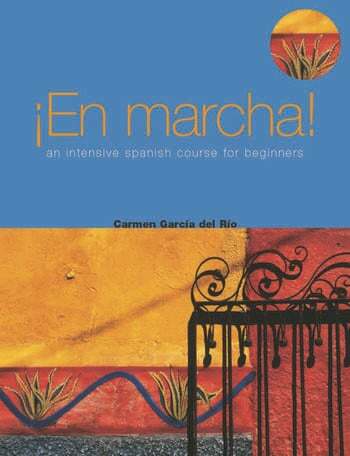 En Marcha is an intensive course in Spanish for beginners. Systematic and comprehensive, it takes the student from beginner's to upper intermediate level in one year. Carefully graded exercises and expert grammatical explanations are combined with lively activities and an attractive presentation to develop the four key skills of listening, speaking, reading and writing. The material is organised in 8 units, each unit introduces new language and provides a variety of activities to practise that language, with clear instructions guiding the student and regular summaries of key points. The units also provide sections for self-study which consolidate material learnt in class, as well as a full key to the exercises. Additional material includes audio files to accompany the book available free to download at www.routledge.com/9780340809051, a grammar reference index, and lists of essential vocabulary in easy-to-learn groups. Carmen García del Río is Lecturer at the University of Dundee, UK.